You can reach Social Security Office in Fairless Hills, Pennsylvania at the following street address and contact number, as well as using directions below. Please, share your experience about visiting this office, provide a review using the form at the end of this page. 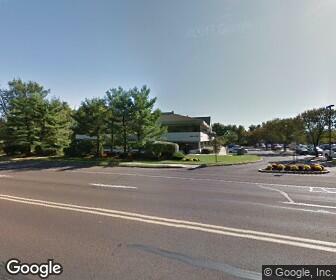 Directions: 444 Lincoln Hwy Fairless Hills, Pa 19030 Directions To Location- From Oxford Valley Mall, Take Lincoln Hwy Business Rt 1, 2 Miles North To Just Past Light At N Olds Boulevard, Office Is On The Right At The Far Right Corner Of The Building With A Separate Marked Entrance. Contact Station Is At Grundy Hall In Doylestown On Thursdays 9:00-12:00. Station Is At Rt 611 And Almshouse Rd. No Claims Can Be Taken At The Contact Station. Contact Station Will Not Be Open After 03/08/12. I want to make an appointment for my husband and i to meet with the SS folks from the Fairless Hills office but can't find a local number and don't see a way to do it online. When I called the main number yesterday, there was an hour wait to talk to someone.